What goes perfect with that snazzy party dress, those gorgeous shoes, that sparkly handbag and those blingy jewels? A party perfect smile that gives you the confidence to reunite with friends and family over the Holiday season. It’s party season and while us gals are thinking about what we’re going to wear, we can sometimes forget the one thing that’s so important – our oral health and picture perfect smile. You know that feeling you have as you’re leaving the dentist? Your teeth are so clean, your breath is so fresh and you just feel amazing? The Oral-B Pro-Health 3000 at Target can help give you that same feeling and power those holiday smiles. It’s perfect angle gives you a precise clean for a bright, holiday photo-ready smile. The CrossAction bristles are designed to get deep in-between teeth for a better clean all year. I love getting dressed up for Holiday parties and pulled this black dress from my closet. To let you in on a little secret, I actually wore this dress in my brother’s wedding. I love it when the bride chooses dresses you can wear more than once! I was just talking to a friend last night who mentioned she doesn’t put a lot of candy in her kids’ stocking any longer. They’re older now and the family eats very healthy, so candy just wouldn’t make sense. She was saying how now that she doesn’t have the candy as a filler, it’s really hard to come up with ideas for stocking stuffers. 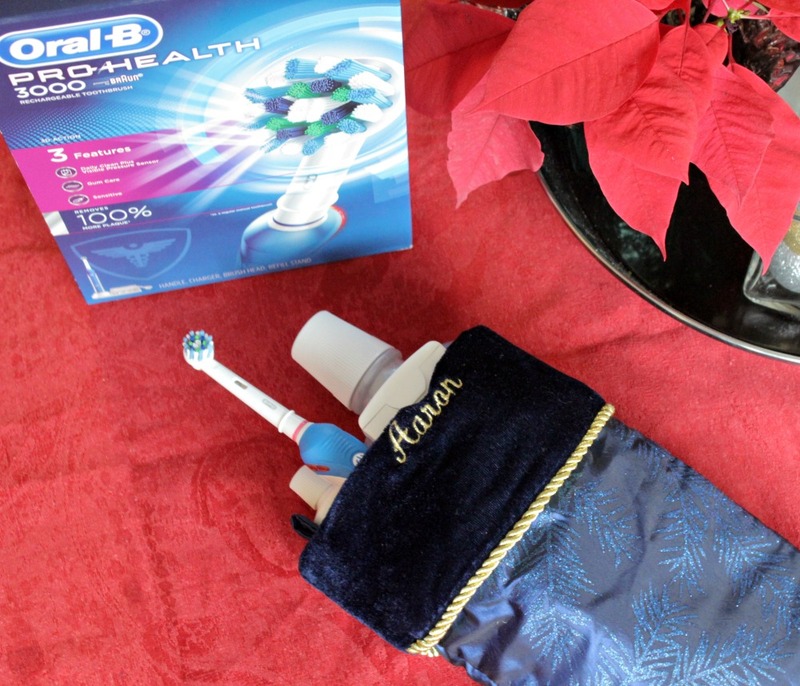 I think the Oral-B Pro-Health 3000 makes the perfect stocking stuffer don’t you? What a great gift to give someone you love – a beautiful smile. You could add floss, mouth wash, toothpaste and some healthier treat options to the stocking and have one really nice gift. I love these features and think they’re pretty ingenious. Target is my destination for last minute gifts and stocking stuffers. It’s really my all-in-one store because I can purchase food for our Holiday dinner, gifts for family and friends, stocking stuffers for my kids and maybe a new sweater for me because I’ve been a good girl this year. Walking around Target just makes me happy. Target is the perfect place to pick up the Oral-B Pro-Health 3000 toothbrush because of this and the fact that they have a $20 off coupon. 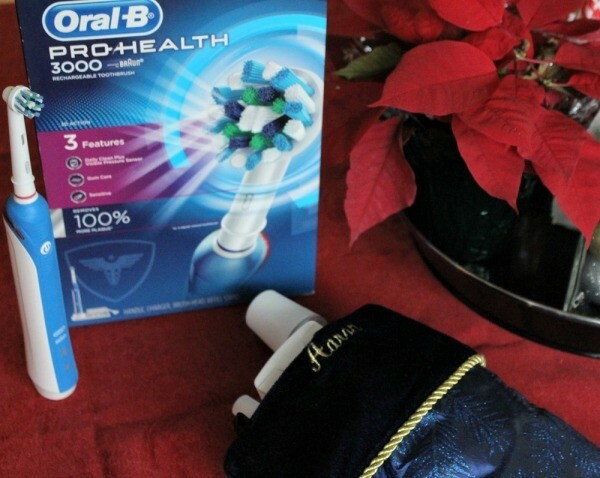 Get $20 off your purchase of the Oral-B Pro-Health 3000 at Target.com today! Here’s to fantastic gift ideas and picture-perfect party smiles during the Holiday season! May your days be merry and your smiles bright.